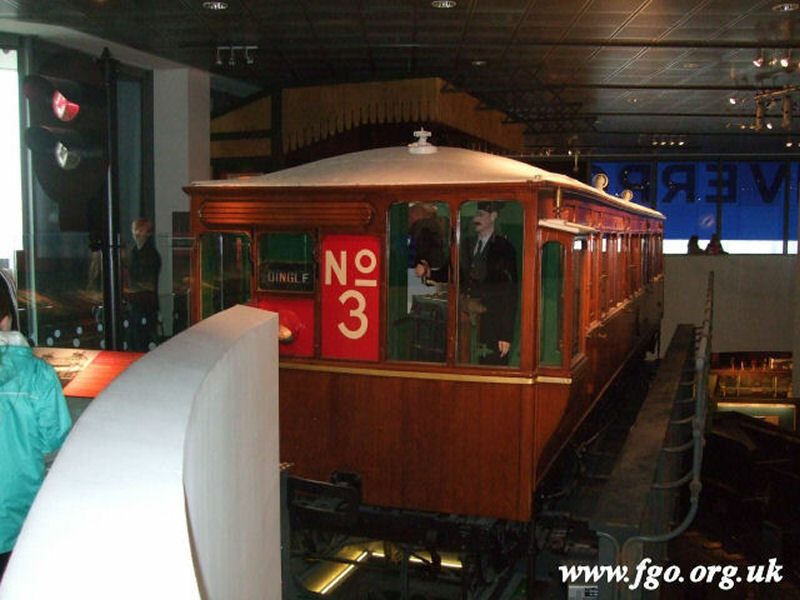 The Liverpool Overhead Railway was built in 1893 to carry workers to jobs along the docks and waterfront. The structure suffered great wear and tear throughout its life, along with bomb damage in the 1940s. In 1955, a report into the structure of the many viaducts showed major repairs were needed that the company could not afford. 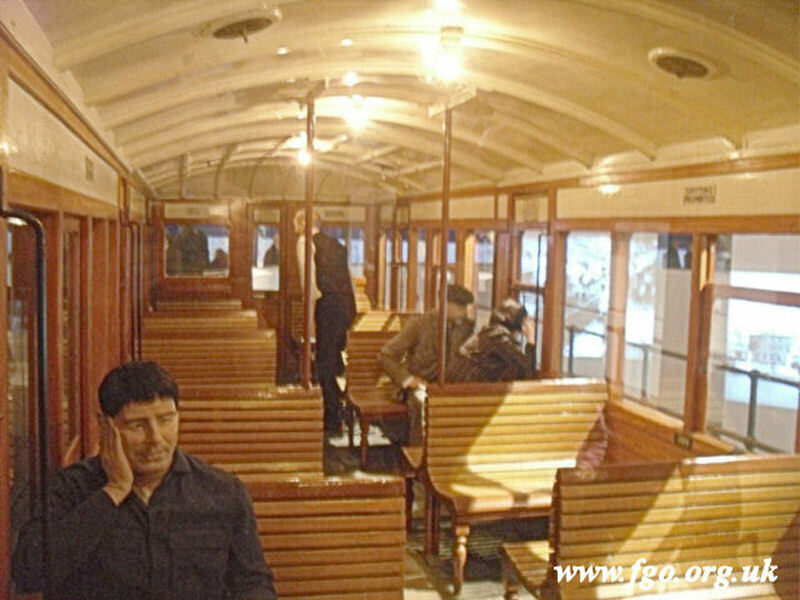 The railway closed at the end of 1956 and despite public protests the structures were dismantled in the following year. Whilst sorting through some of my father's photographs I came across this one he took of the railway in 1933 and coupled with some of my photographs and others, I decided to write this short article. There is so much written about this 'World's First' and in much more detail than I am going to go into here. 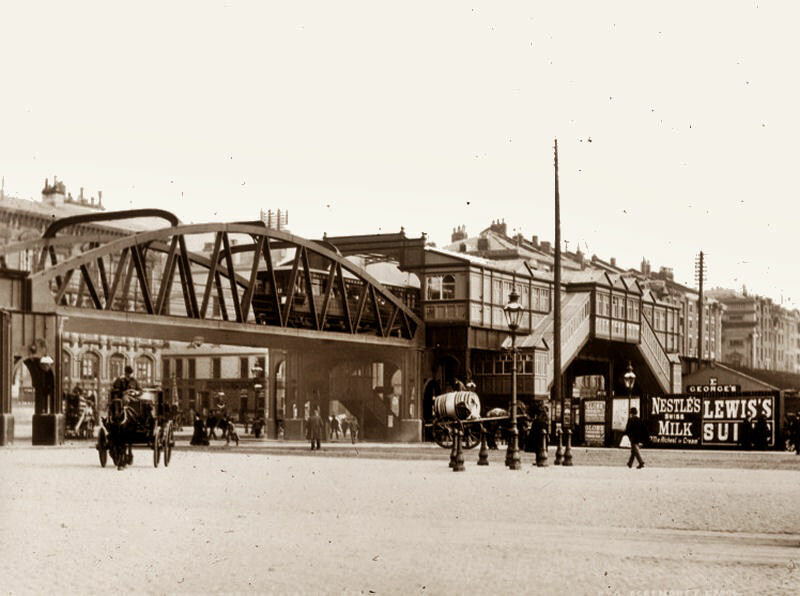 Strand Street near the Pier Head in Liverpool. The station is just to the left of this picture. Affectionately known as ‘The Docker’s Umbrella’ because it protected those who walked underneath it from the weather, it was also referred to as the Ovee and the LOR. 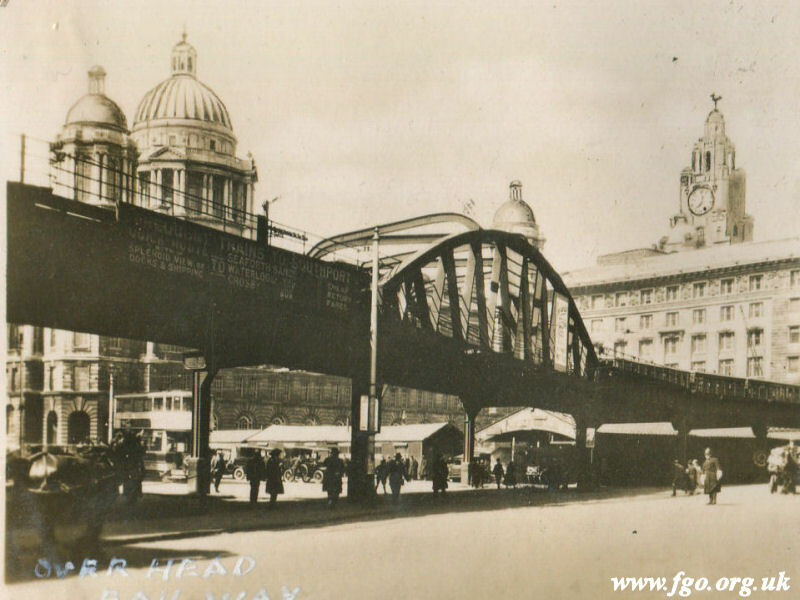 Looking north underneath Pier Head Station in the 1950s. 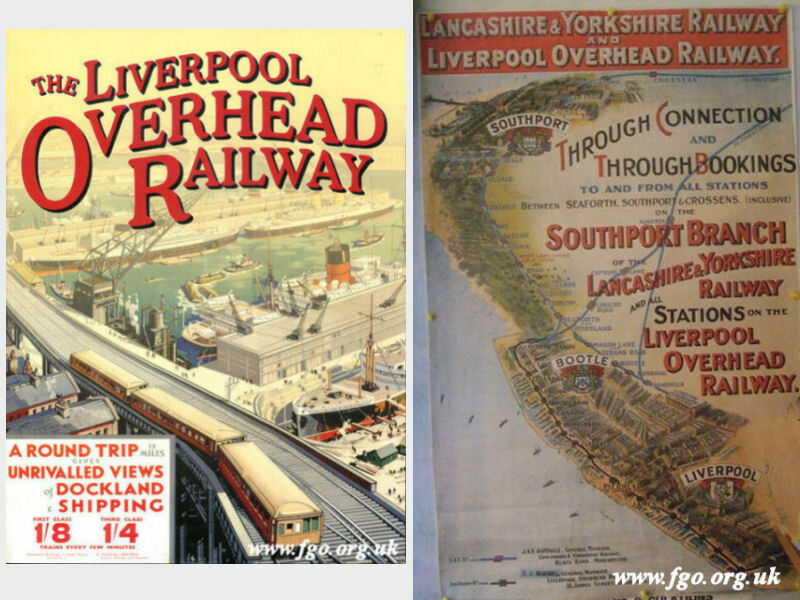 The Mersey Docks and Harbour Board Railway ran beneath it. 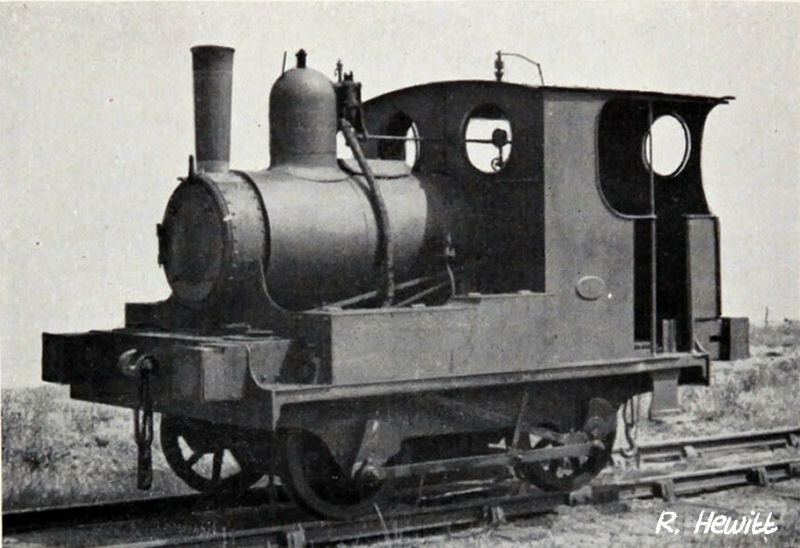 A Kitson built steam engine nicknamed ‘Lively Polly’ was the only steam engine to operate on the line was used to move men and materials and also to clear ice from the rails. 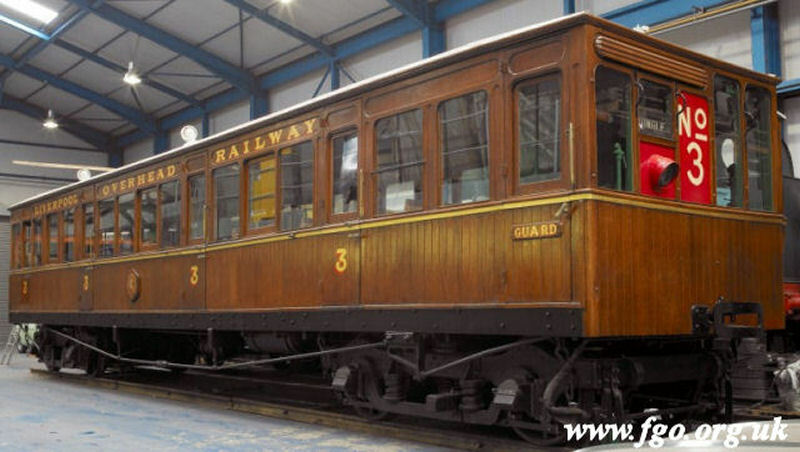 It was sold in 1948 having been replaced in 1947 by a Rushton diesel. 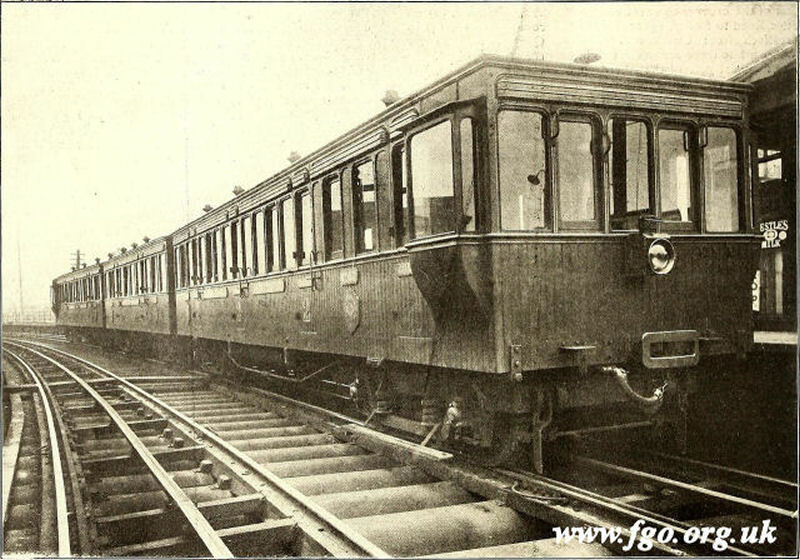 It was also used in the demolition of the Railway in 1957. 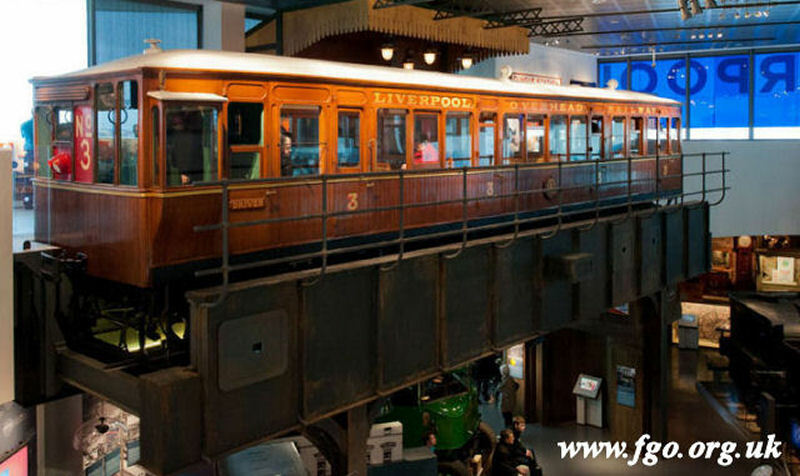 It is celebrated with a display in the Museum of Liverpool that includes this original motor coach that has been restored to its former glory. The Liverpool and Manchester Railway Number 57 Lion is an early 0-4-2 steam locomotive, that had a top speed of 45 mph (72 km/h) and could pull up to 200 tons (203 tonnes) One of a pair designed for hauling freight, the other, number 58 was called Tiger, built by Todd, Kitson & Laird (later Kitsons) of Leeds in 1838. It was also used in the 1953 film The Titfield Thunderbolt. The coach is overhead once more. 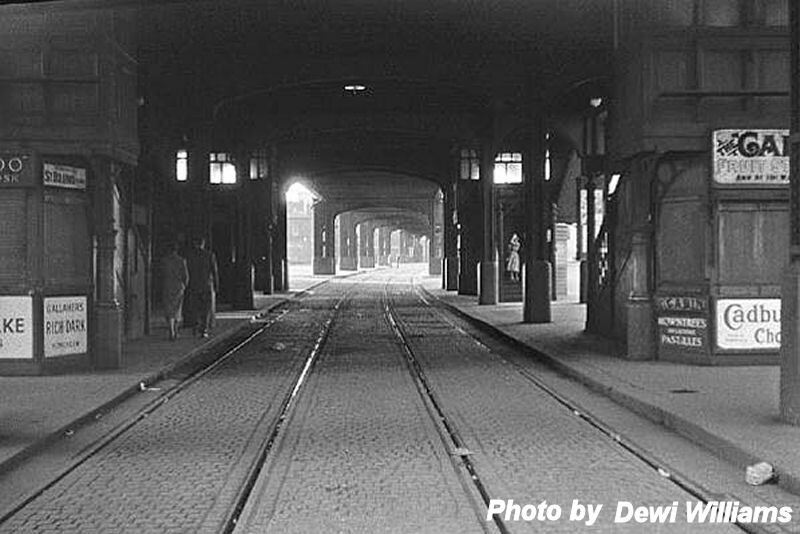 Today, New York and Chicago and many other famous cities across the world have overhead railways - but none were like The Docker’s Umbrella.